Madison Park is an upscale neighborhood in east central Seattle. It is bordered by Union Bay to the north, Lake Washington to the east, and Washington Park Arboretum, featuring hundreds of rhododendron and plant species, to the west. Madison Beach Park is a popular place to catch some sun and enjoy the lake. There are single-family homes and condos for sale in Madison Park, usually impeccably well-kept or custom built and may have views of the water. 2 Beds | 1.75 Baths | 1113 sq. Ft.
5 Beds | 3.25 Baths | 4630 sq. Ft.
3 Beds | 1.75 Baths | 2160 sq. Ft.
3 Beds | 1.75 Baths | 1900 sq. Ft.
4 Beds | 4.25 Baths | 7754 sq. Ft.
3 Beds | 3.25 Baths | 2800 sq. Ft.
Blue Summit Realty has the most accurate and up to date Madison Park real estate listings on the web. Currently there are 5 homes for sale, 1 condos for sale, and 4 vacant land properties in Madison Park. Of the 10 total Madison Park residential listings for sale 0 are bank owned, 0 are short sales, 0 are new construction, and 0 are townhomes. The price ranges from $795,000 to $0 with a median list price of $2,494,833 and median sold price of $1,279,925. Make sure to refine your Madison Park real estate search by property type, price, square footage, bedrooms, bathrooms and more with the search tool above or view the Madison Park listings on our interactive map. 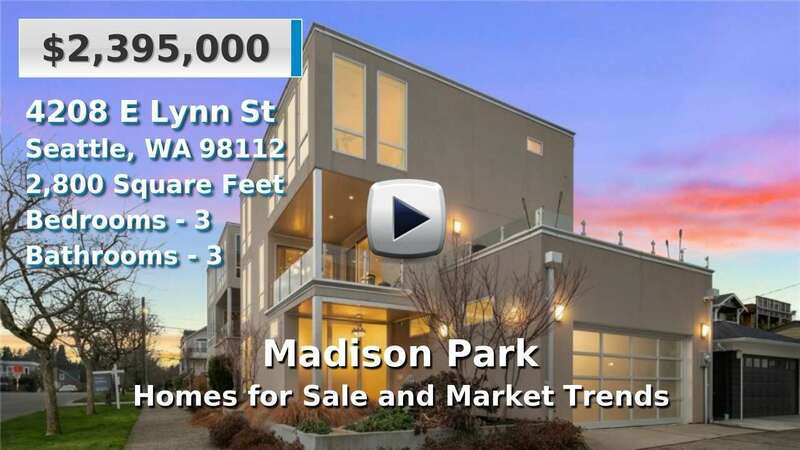 Our Madison Park real estate listings were updated 25 minutes ago.